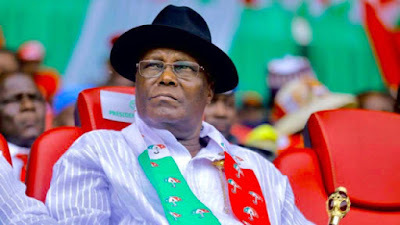 The Court of Appeal yesterday granted Atiku Abubakar, candidate of the Peoples Democratic Party (PDP) in the February presidential election permission to serve his petition on President Muhammadu Buhari through substituted means. While moving the ex parte motion, counsel to Abubakar and the PDP, Chris Uche (SAN), asked the appellate court to grant the application on the grounds that personal service on the president had become practically impossible. Uche predicated his application on seven grounds with a 17-paragraph affidavit as well as a further affidavit of five paragraphs. The three-man panel led by Justice Abdul Aboki ruled that it was in the interest of justice to grant the ex parte application. “After carefully reading the affidavit and the grounds upon which the ex parte application is predicated, the court is convinced that it is in the interest of justice that the request of the two petitioners be granted. The petition and other processes are to be served on the president through No. 40 Blantyre Street, Wuse II, Abuja, being the national secretariat of the party. Abubakar is challenging the declaration of Buhari as winner of the presidential election by the Independent National Electoral Commission (INEC). He filed a petition before the Presidential Election Petition Tribunal on March 18, asking it to declare him winner of the poll having scored the majority of the lawful votes cast. No date has been fixed for the hearing of the petition as Buhari, the main respondent, has not been formally served with the petition as required by law. INEC meanwhile has reiterated its intention to review some provisions of the constitution and Electoral Act, with a view to conducting future polls better. It will also review the timeline for the disposal of pre-election matters and propose an amendment to the National Assembly. National Commissioner, Festus Okoye, disclosed this in Enugu yesterday during the presentation of certificates of return to the governor-elect, deputy governor-elect, and members-elect of the Enugu House of Assembly. “It is very clear that some of the provisions in the constitution and Electoral Act must be realigned to meet the expectations of our people,” Okoye said. Enugu State Governor Ifeanyi Ugwuanyi, who received his certificate alongside his deputy, Cecilia Ezilo, and 24 members of the House of Assembly, expressed gratitude for the peaceful and transparent elections held in the state. The commission also explained why it would not issue certificates of return to the Zamfara State governor-elect and his deputy, citing improper conduct of the APC primaries that produced them as candidates. According to Okoye, the law must take its course. Mr. Seyi Makinde, Oyo State governor-elect, his deputy, Rauf Olaniyan and 32 House of Assembly members-elect were given certificates of return by the Resident Electoral Commissioner Mutiu Agboke who noted that the document is the ultimate confirmation of an election victory and a key requirement before a declared winner can be sworn in. Kebbi State governor-elect, Atiku Abubakar Bagudu, and 24 House of Assembly members-elect, also received certificates of return, from INEC National Commissioner Amina Zakari. Addressing reporters shortly after, Bagudu thanked the people of the state for supporting his re-election, even as he commended INEC officers, security agencies, and members of the media for making the polls successful. Also, certificates were presented to Imo State governor-elect, Emeka Ihedioha, his deputy, Gerald Irona, and House members-elect in Owerri, by National Commissioner Okechukwu Ibeanu. The group made its observation known in a statement by Secretary General Willy Ezugwu yesterday.